Ansley Park is home to some of Atlanta’s most popular and in demand Real Estate, just north of the downtown convention district. 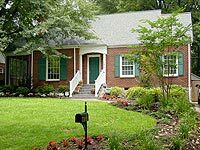 The neighborhood began construction in 1905 as Atlanta’s first automobile oriented community and ended as one of the premier residential Real Estate areas. 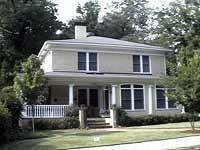 Developer Edwin Ansley patterned the entire neighborhood after the North Druid Hills area of Atlanta. Originally developed around 1910 as Atlanta’s first country club neighborhood, Brookhaven, located on the northern edge of Buckhead is an enclave of large, elegant Tudor, Colonial, Georgian and English cottage homes. Lush landscapes, beautiful arrays of gardens, and meandering streets are indicative of Brookhaven. Brookwood Hills, developed in the ’20s, is one of the cities earliest suburban neighborhood developments and real estate is currently in high demand. With its variety of architectural styles, Brookwood Hills has maintained its integrity as a neighborhood as the city has grown exponentially in size. Known as “milltown” for many of Atlanta’s early blue collar workers. A cotton mill was in operation here for almost a 100 years, but in the early 1970’s the mill shut down and Cabbagetown quickly deteriorated. In the last few years, people saw hope for the historical neighborhood and began moving in, renovating, and turning the area into an eclectic, artsy, up-and-coming area. Originally the city of Edgewood, established 1890, its citizens voted in 1908 to become part of Atlanta. The map above covers the Candler area , bounded by Clifton Road on the east, DeKalb Avenue (where the Georgia Railroad tracks are) on the South, Moreland Avenue (the eastern boundary of Atlanta neighborhood of Inman Park) on the west, and North Avenue on the north. Originally called Dawson’s Camp, Decatur, was named for American naval officer Stephen Decatur, who fought in the War of 1812. Decatur was incorporated in 1822, making this the oldest city in DeKalb County. 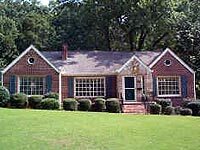 Older brick homes, smaller bungalows and cottage homes are abundant types of Real Estate available in the Decatur area. 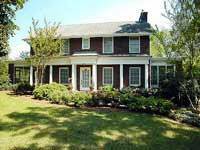 Druid Hills is an Intown Real Estate oasis. Its park-like setting, wooded lots, and graceful curving roads are in sharp contrast to the urban sprawl found in the suburbs. Recognized as an historic district by the NPS, this neighborhood is one of the finest examples of urban planning in the Southeast. 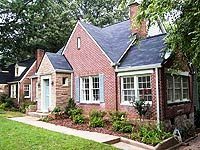 New Real Estate commingle with older bungalows and Tudor cottages in this most Eastern of Atlanta’s neighborhoods. 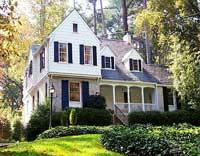 Bounded by Oakwood and Kirkwood communities, this small neighborhood is known for its history and excellent location. Just 3 miles east of Downtown Atlanta, Edgewood is one of the hottest intown neighborhoods in Atlanta for affordable housing.With easy access to I-20, Moreland and DeKalb Avenues and Memorial Drive, you can see why Edgewood real esate is undergoing renovation. With its own MARTA station, Edgewood gives access to all of Atlanta’s treasures. 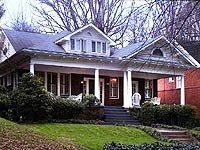 Garden Hills is a large urban forest Atlanta neighborhood between Peachtree and Piedmont roads, bordered on the north by Pharr Road and on the south by East Wesley Road. Georgian, Bungalows, Tudor, Spanish Revival homes line the streets that lead to a community center. One of the cities oldest neighborhoods. The district includes a 131-acre green space, a recreational area and the residential neighborhoods surrounding it. Rambling Victorian-era mansions and small cottages, early 20th-century bungalows and many brick paved sidewalks. 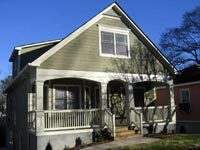 Inman Park is one of Atlanta’s strongest communities, with a hardworkingneighborhood association, agarden club and a two-day festival each spring that draws thousands. 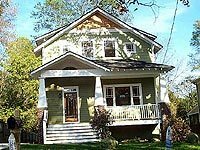 Thetour of homes in this intown neighborhood is not to be missed. Just South of Dekalb Avenue and north of Memorial Drive, Kirkwood is still very much a part of Atlanta and Dekalb County. Born on the streetcar line, Kirkwood continued to rely on this transportation mode until as late as the 1950’s. Kirkwood was incorporated as a municipality in 1899 and was annexed into Atlanta in 1922. While there is no Lake Claire, this intown neighborhood was originally designed as a subdivision. 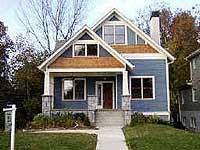 The attractive neighborhood has many investors building new homes here and renovating some of the gorgeous Bungalows. I love the fact that lake Claire is off of the beaten path but so close to everything great that intown Atlanta Homes have to offer. Loring Heights, located in Midtown, is located between Northside Drive and Peachtree Street. I-75 serves as the northern boundary of this intown treasure. 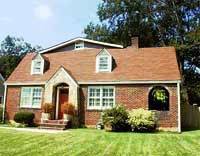 Developed in 1931, Morningside is a toney intown neighborhood known for its short commute times and central location. 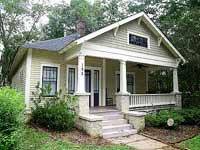 This area of Atlanta is known for its pricey Real Estate in subdivisions, like Noble Park, University, Johnson Estates and Hylan P.
Many homes in Oakhurst were built in the Craftsman bungalow style. 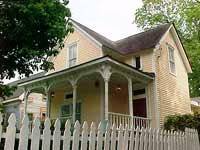 However, Oakhurst is home to renovation. With boulevard streets abound and leafy tree-covered homes that are minutes from downtown, Oakhurst has become home to renovation. 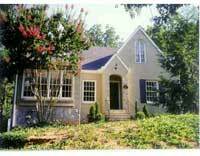 Located minutes from Decatur and Downtown Atlanta, this choice Atlanta neighborhood has so much to offer. Ormewood Park is nestled between Moreland Avenue and Grant Park’s Boulevard Avenue, has easy access to I-20 that leads east and west of Downtown Atlanta. 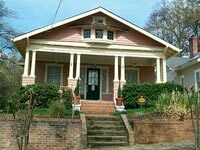 One of Atlanta’s oldest neighborhoods and offers some of its largest original homes inside the perimeter. 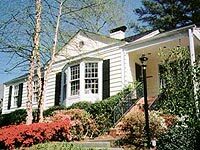 Originally a retreat for wealthy Atlantans who wanted refuge from the hustle of Downtown Atlanta, Peachtree Hills today is still a tranquil haven in Atlanta. Nestled between Lindbergh Drive and Peachtree Street in Buckhead. 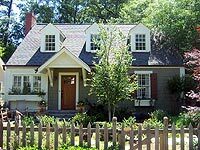 The area is characterized by many of the original Craftsman-style bungalows and Tudor revival brick homes. Established in 1912, Piedmont Heights was established after a few of the first in town neighborhoods were built. 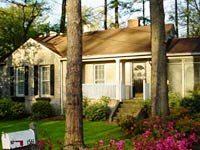 Piedmont Heights is bounded by Piedmont Road and Monroe Drive, this area is close to the major interstates, golf, and shopping galore. Winding between Dekalb and Fulton counties, Pine Hills has easy access to all the major interstates, shopping and golf courses. 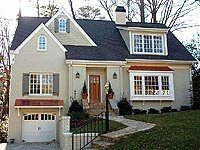 Located just east of Lenox Road in Buckhead, this neighborhood is home hundreds of families who enjoy the forested streets and direct access to all things in Atlanta. Sagamore Hills is a DeKalb County neighborhood that hasn’t changed much in 40 years. Kids still walk to school, ride bikes, play in the woods and swim on the neighborhood team. Parents get to know each other through the civic association, clubs, recreation and a multitude of nearby churches. 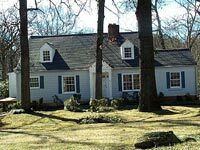 People still find the 1950s and ’60s brick ranches on 1/2-acre wooded lots. 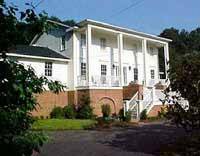 Vinings differs from most other communities in its resolve to keep the villages integrity and uniqueness, making it a world away from uncontrolled urban sprawl. Streets have been widened to accommodate the flow of new residents but in keeping with the philosophy of the community, sidewalks have been added to encourage more pedestrian traffic. 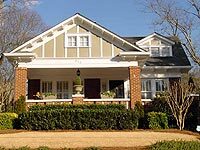 While large office buildings, restaurants, service businesses, and other shopping centers have arisen, all have respectfully kept the integrity of Vinings historic significance as have the increasing numbers of elegant homebuilders and condominiums/apartments builders in the area. An historic treasure valued by those who live and work there, Vinings is also a great treat for visitors who discover it. Named after its location at the intersection of Virginia and North Highland avenues, Virginia-Highland remains a hot spot for Atlanta’s young professionals. At one time this prime area was in danger of becoming part of a planned highway system, but with the efforts of community leaders and activists, the area revitalized itself to become the urban professional’s dream. Bounded by East College Avenue, Avery Street, and South Columbia and Mimosa drives, Winnona Park Real Estate has some excellent examples of English Vernacular Revival, Bungalowsand Craftsman-style houses.Its curvilinear plan, oak-lined streets make Winnona Park an attractive Decatur enclave. 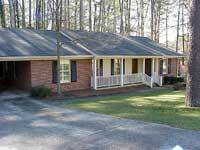 Between LaVista, Cheshire Bridge, Lenox and Briarcliff roads this bedroom community has many comfortable homes and easy access to shopping in Druid Hills and various stores on the West.